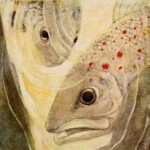 This is one of several pages of vintage images for the image category Fish Drawings. Wonderful colored drawing of koi fish. 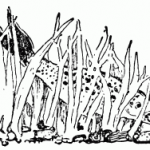 Vintage black and white drawing of a fish swimming in the reeds. Three fishies swimming in a row. 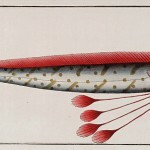 Stunning image of a Hawken’s Fish. 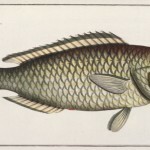 Rare, vintage colorized fish drawing. 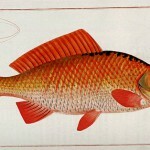 Beautiful vintage drawing of an orange or golden fish. 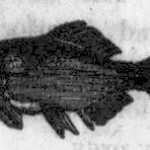 Vintage engraving of a fish. Four fish greet each other.